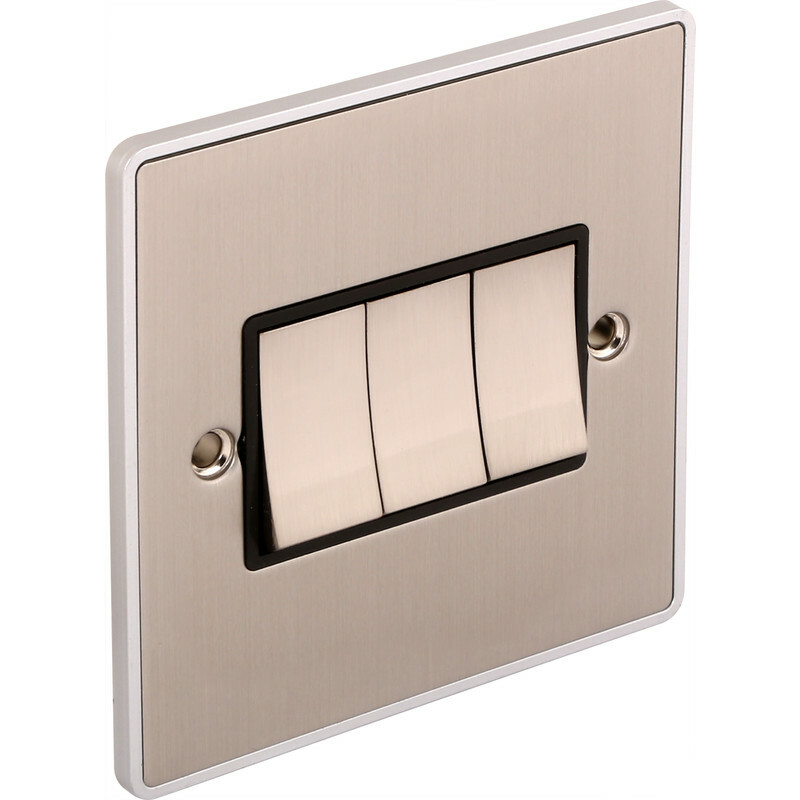 Urban Edge Brushed Chrome Switch 3 Gang 2 Way is rated 4.5 out of 5 by 2. Rated 5 out of 5 by RedAnt67 from Good looking product at a good price. Easy to install and looks great on the wall!! Rated 4 out of 5 by Pepealain from Great look Great product looks good on our wall and works well.